The world wide web consortium (W3C) is an international community that has defined the de-facto standards of how to code HTML on your website. Without them, people who make web browsers would not know what do change in the code to render (show) your web pages correctly. There has been many versions of HTML standards, the latest version is HTML5 which added cool features such as improved video, image rendering on the fly and geolocation. 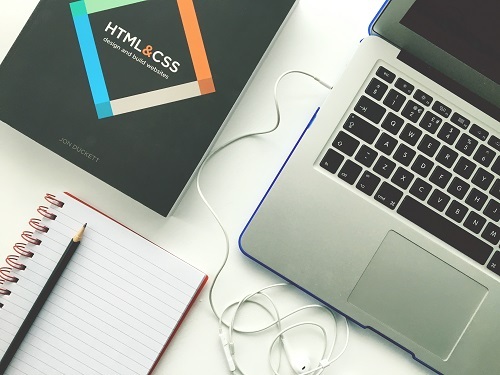 For HTML code to work properly on the latest browsers it needs to be written correctly and that is determined by the W3C standards, so when you validate your html code against these standards then your web page will have better chances of showing up correctly and consistently on all browsers. The good news is that the W3C offers an online validator for HTML and CSS so check them out! How can you validate your HTML? Besides the traditional way of validating your code using the W3C online tools mentioned above (HTML and CSS), there are other ways to validate your html code. There are browser extensions available so you can validate your html right from your browser, online validators besides the W3C and desktop applications. Instead of listing all of them, there is this blog post that talks about each one of them and provides links for you use them: https://blogging.com/html-validators/. Cross-browser support: If your HTML code is validated, it is more likely to render correctly on the major web browsers (Chrome, Safari, Firefox, Edge/Explorer) and also look the same or almost the same in each one. Search Engine Optimization: While you won’t rank better if your page is validated, it will improve chances of your page content being indexed correctly by search engines. Your content needs to make semantic sense in the HTML code and one way of ensuring this is by validating the code. This will check to see that HTML tags are correctly closed, you are using HTML tags correctly and other important common issues that can prevent a good web crawl by search engines. Fix browser rendering issues: Instead of tweaking CSS and trying to fix your HTML code manually with guesswork, sometimes just by validating the HTML code and see where the errors/mistakes are you may be able to more quickly identify why something doesn’t show up correctly. Once you correct those issues, chances are that your page will show up better. Cleaner HTML code: If your HTML code is validated and written correctly, it will make the task of updating it and doing changes much easier. It will lower the chances that editing a CSS style or adding an HTML code snippet will break your web page. Future web browser support: Web browsers are often updated and are usually trying to keep up and comply with the W3C HTML standards. If your code is W3C compliant then it should lower your chances of having a broken page in a future version of web browsers. What if my page looks fine? This being said, this is a decision you need to make. If you are happy with your website, it works for your visitors and feel comfortable updating it, maybe it’s not worth the time and effort. If you are having issues with your site, you may want to consider fixing any validation errors you find before hacking at the HTML code. Before you make any decisions, validate your HTML code with one of the above mentioned tools and see how much work is needed to correct any issues found. This is way over my head, what should I do? We believe in business owners and web masters having a website that they can manage themselves most of the time, while understanding that some tasks and changes may just need a professional web developer or team. Sometimes you just need that special somebody to fix your website so that you can take over it afterwards. Sometimes people don’t have the time or patience to figure this out, so it is always good to have a trusty team you can count on to help you with your website. This is where we come in, we offer website maintenance and support for all types of websites and web applications. Don’t hesitate to contact us if you have any questions, need validate your HTML code, or just want to learn more on how we can help you. Website Design & Development, Website Development HTML, Website Development. permalink.